The WRR can accept a total of nearly 260,000 gallons of liquified organic waste and 330 tons of solid food waste every day! The building is designedaround collecting, processing, and preparing the organic waste quickly and efficiently. 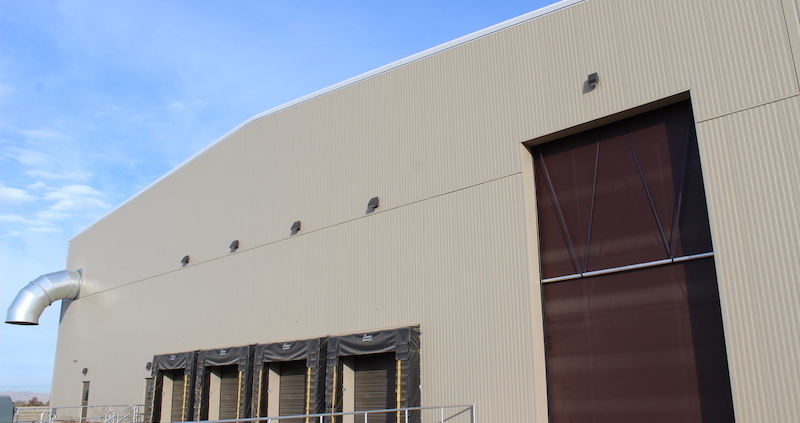 The receiving building is kept at a negative pressure through a foul air system. This contains any potential for bad smells from leaving the building. 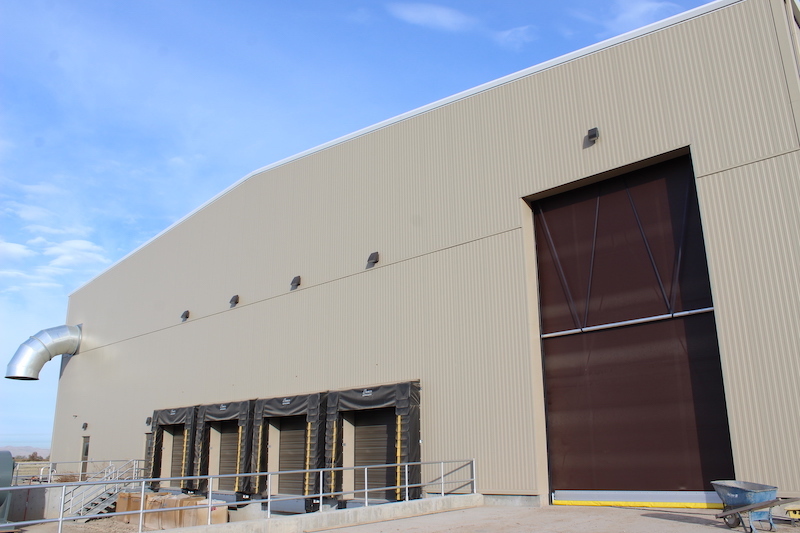 Part of this system are two large, quick-draw fabric doors that allow tipping trucks to pull completely into the building. Inside the building, haulers empty solid food waste onto a tipping floor at the north end. Pallets of aluminum, plastic, or glass bottled waste is unloaded through docks at the south end. Three different depacking machines break up the waste, removing any packaging and macerate the organic waste into a liquid slurry. One of three depackaging machines. This machine processes solid waste from the tipping floor (behind). A second machine of this type will be added in phase two. Even the sloped tipping floor is designed to be washed, the liquid captured and added to the digester. 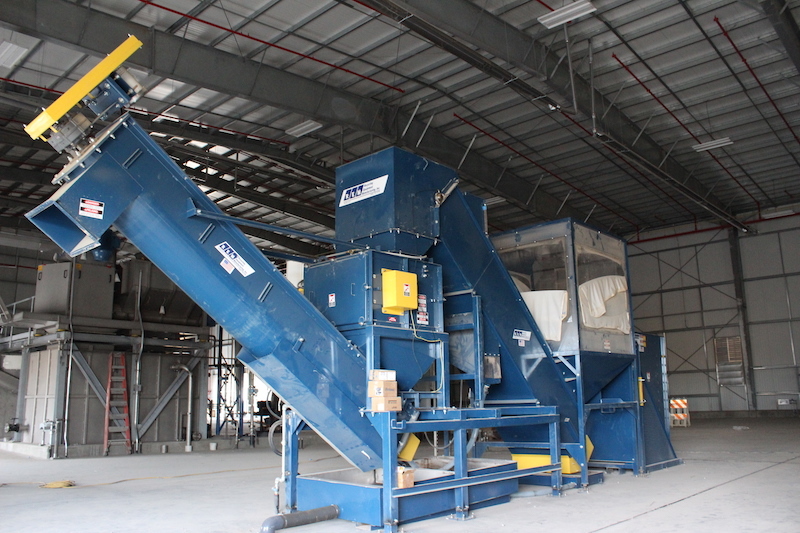 All of the now-liquified waste is spun through a degritting machine to remove any fine, hard grit that wasn’t removed in the depackaging machine such as bone pieces, dirt, or glass. Now the waste is ready to start the anaerobic digestion process!